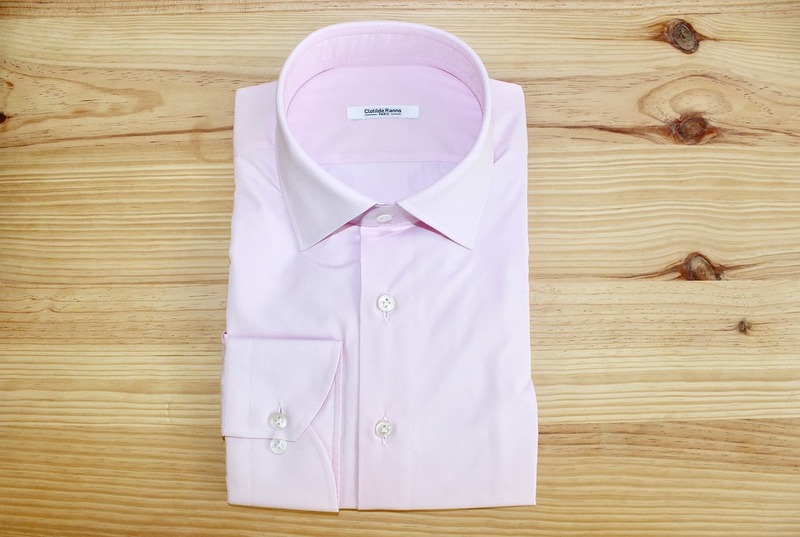 Pink men shirt, 100% Egyptian cotton, Italian collar, double buttoned wrists. Traditional artisanal methods (handmade pattern and cut). 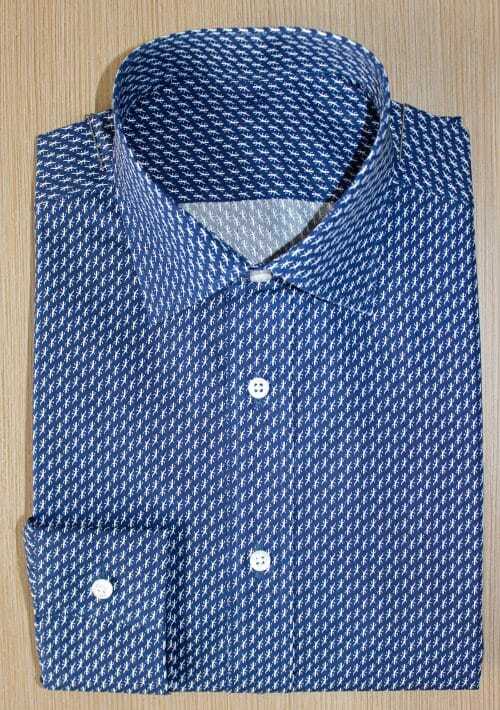 Blue plain shirt for men , 100% cotton, simple yarn, Italian collar, boat wrists. Traditionally made (handmade pattern and cut). 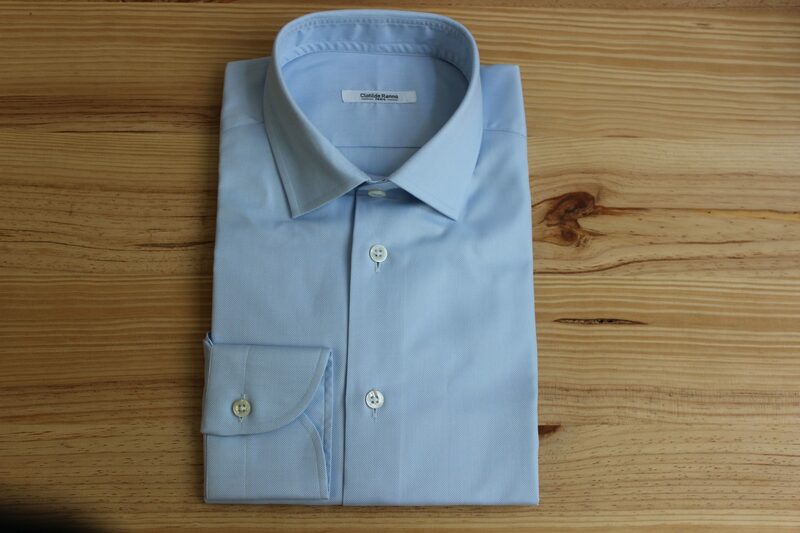 Non iron blue shirt for men, 100% cotton, double twisted yarn, Italian collar, Arc wrists. Traditional artisanal methods (handmade pattern and cut). From 199 euros VAT included. 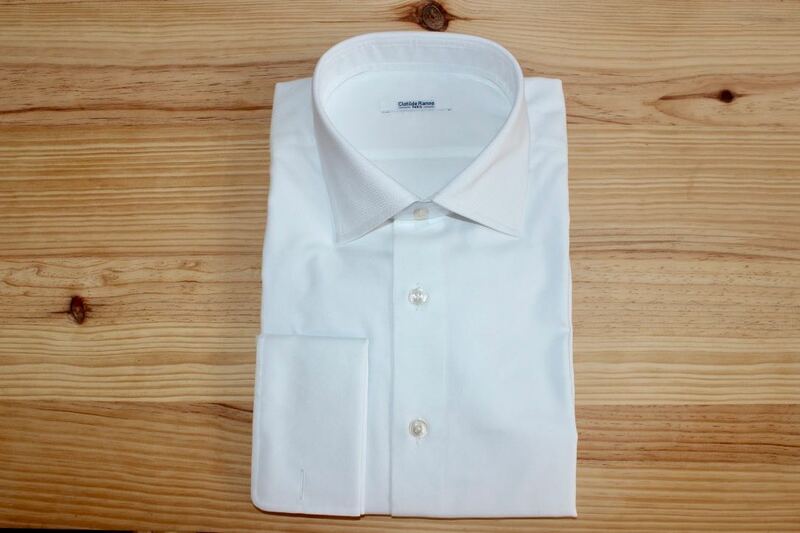 White men shirt, 100% cotton, simple yarn, Italian collar, boat wrists. Traditionally made. From 199 euros VAT included per unit. 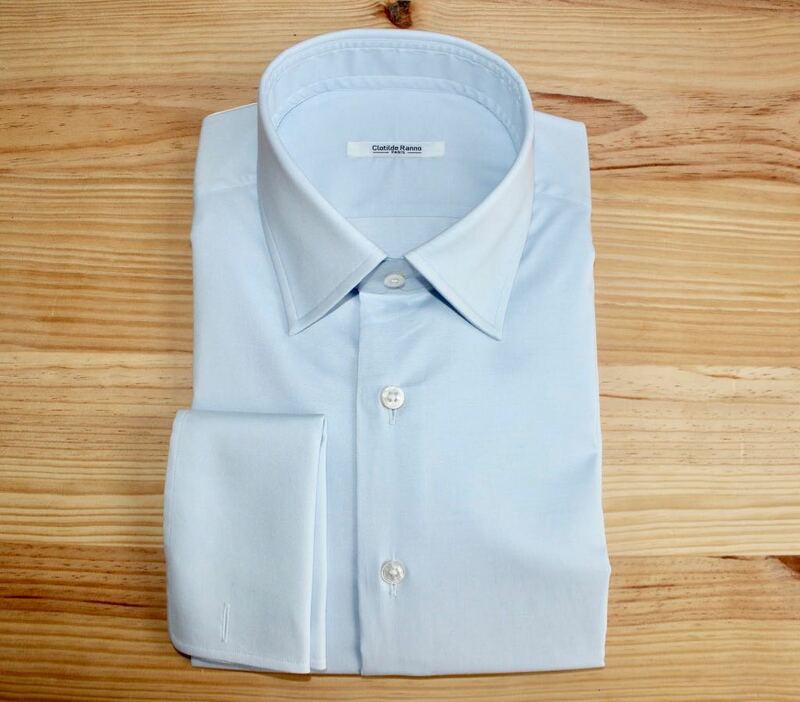 Blue oxford shirt for men, 100% Cotton, simple yarn, Italian collar, boat wrists, adjusted cut. Traditional artisanal methods (handmade pattern and cut). From 199 euros. 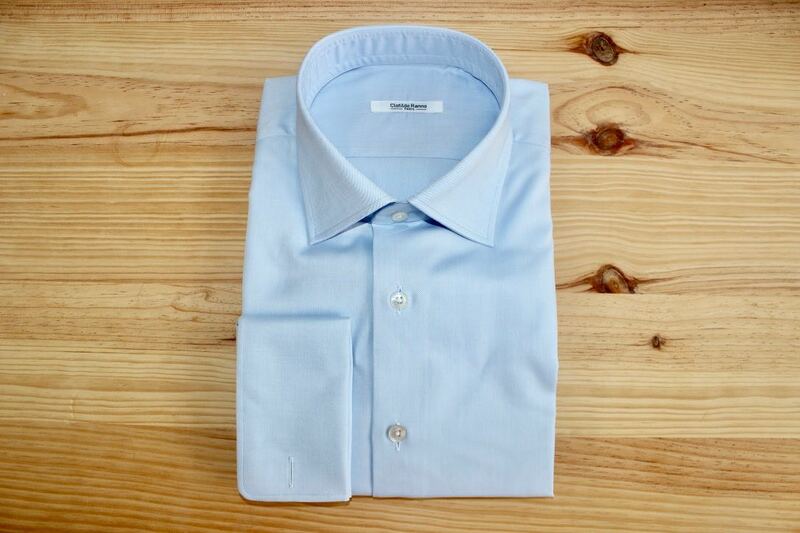 Stripped business shirt for men, 100% Egyptian cotton, Italian collar, simple rounded wrists. Traditionally made (handmade pattern and cut). From 199 VAT included. 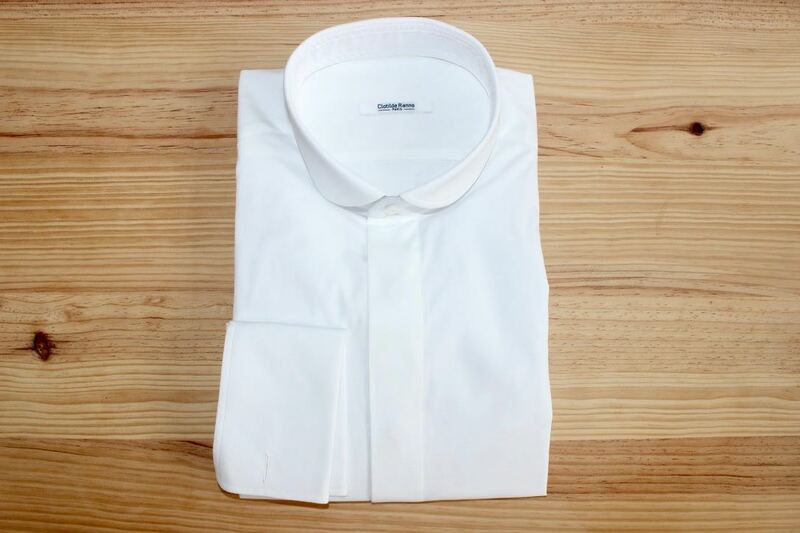 White shirt for men, 100% Egyptian cotton, mini collar, crescendo wrists. Traditionally made. From 199 euros. 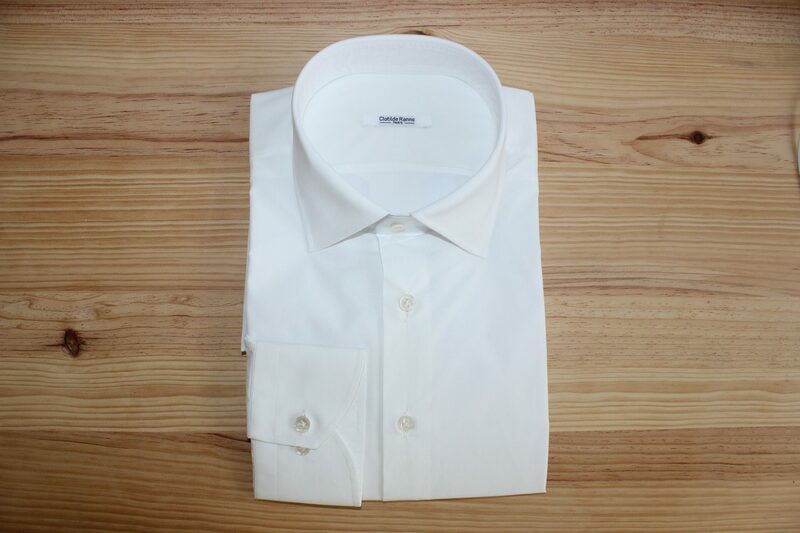 White shirt for men, 100% Egyptian cotton, double twisted yarn, English collar, simple rounded wrists. Traditionally made (handmade pattern and cut). From 199 euros VAT included. Pink shirt for men, Egyptian cotton, simple yarn, Italian collar, boat wrists. Traditionally made (handmade pattern and cut). From 199 euros. 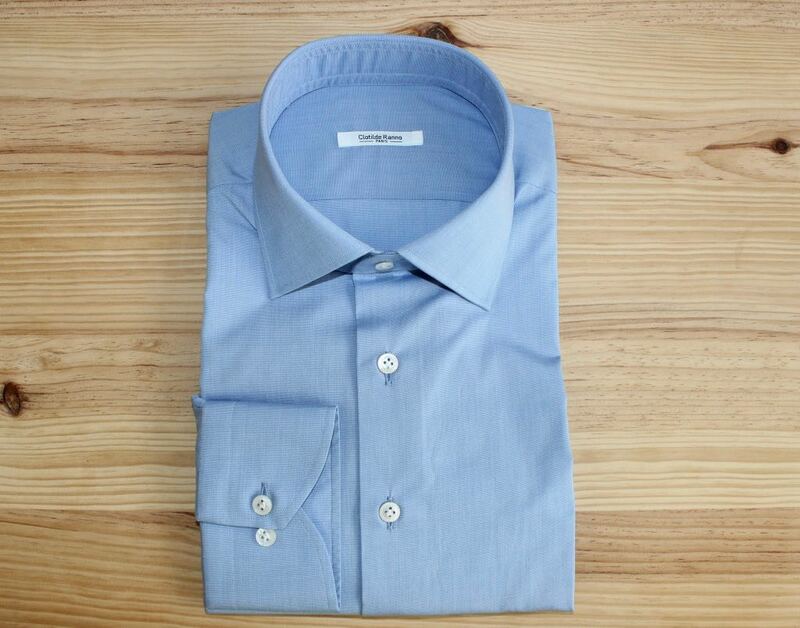 Blue shirt for men, Egyptian cotton, classic collar, musketeer wrists, straight cut. Traditionally made. From 199 euros VAT included. 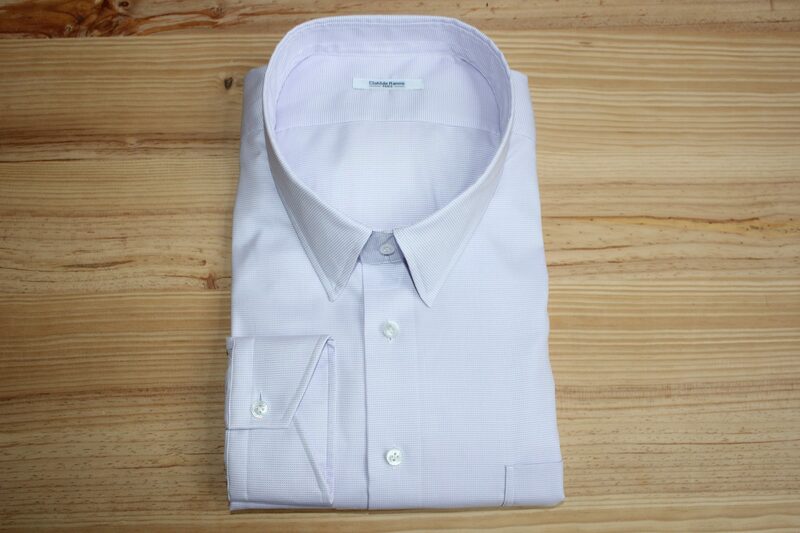 Purple oxford shirt, 100% Cotton, double twisted yarns, French collar, simple wrists. 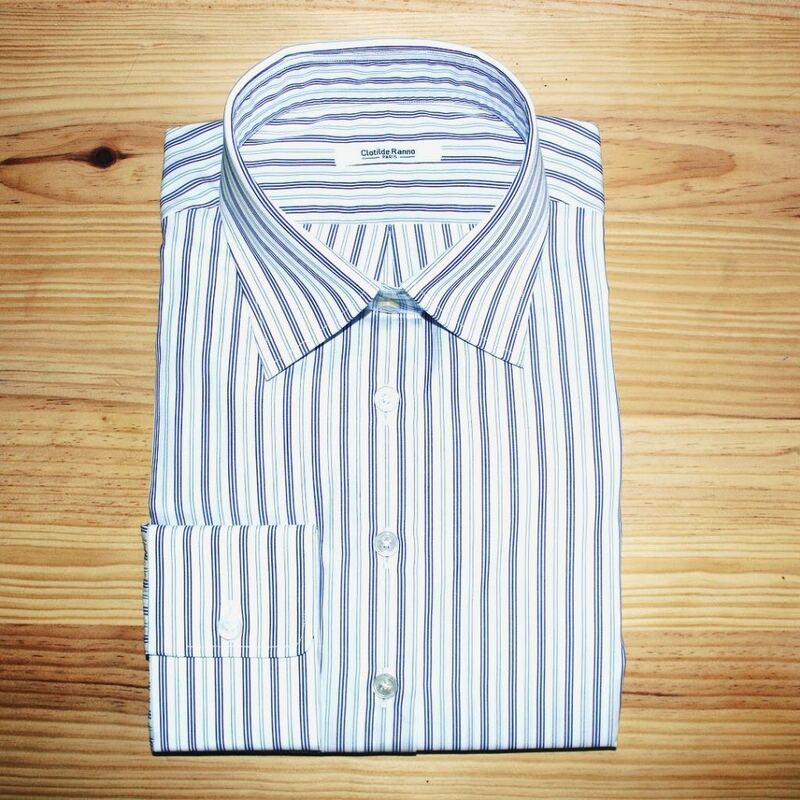 Thomas Mason fabric, traditional methods: handmade pattern and cut, extremely refined seams. Price: from 199 euros VAT included. 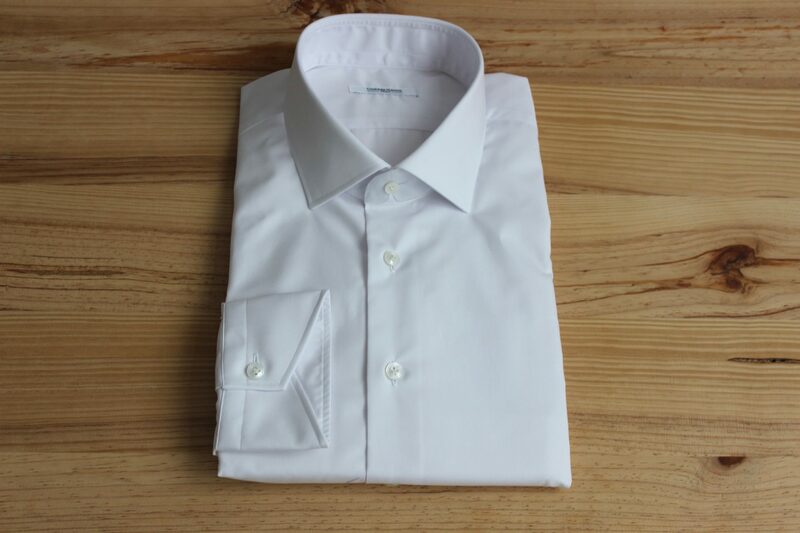 White shirt for men, perfect for a wedding, 100% Egyptian cotton, double twisted yarns, easy iron, classic collar, simple wrists. Traditionally made (handmade pattern and cut). Price: from 199 euros VAT included. 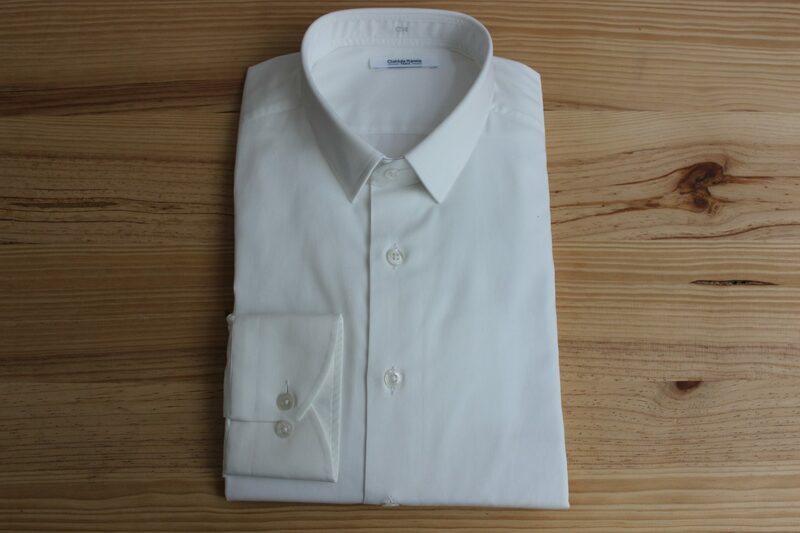 Men shirt, ideal for a wedding, 100% Egyptian cotton, easy iron, round collar, musketeer wrists. 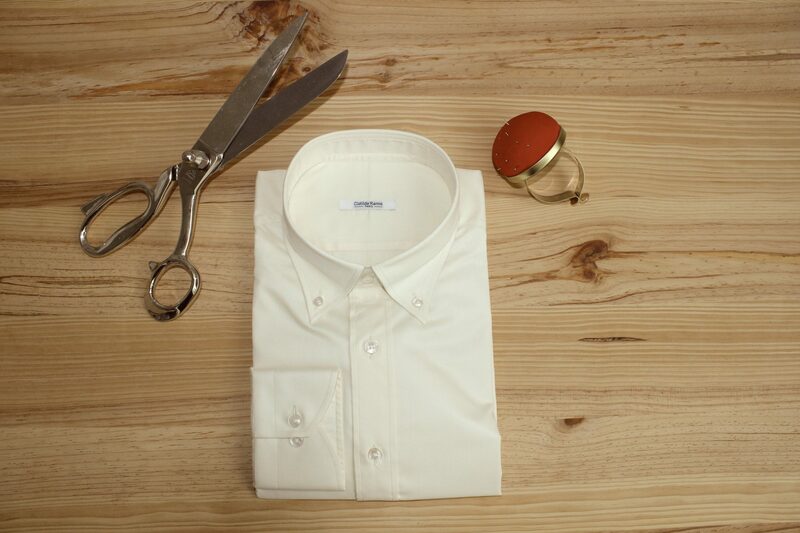 Traditionally made: handmade pattern and cut, extremely qualitative seams. From 199 euros. 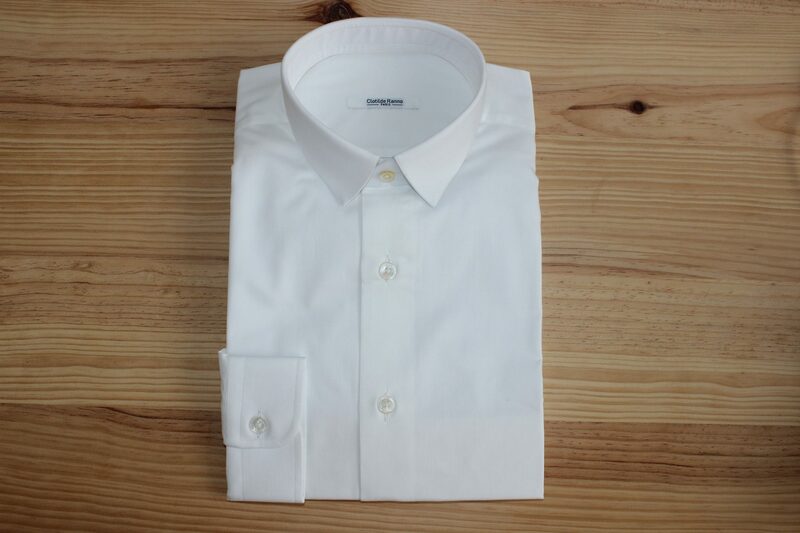 Tuxedo shirt for men, ideal for a wedding, simple yarn, mini collar, boat wrists. Traditionally made. From 199 euros VAT included. 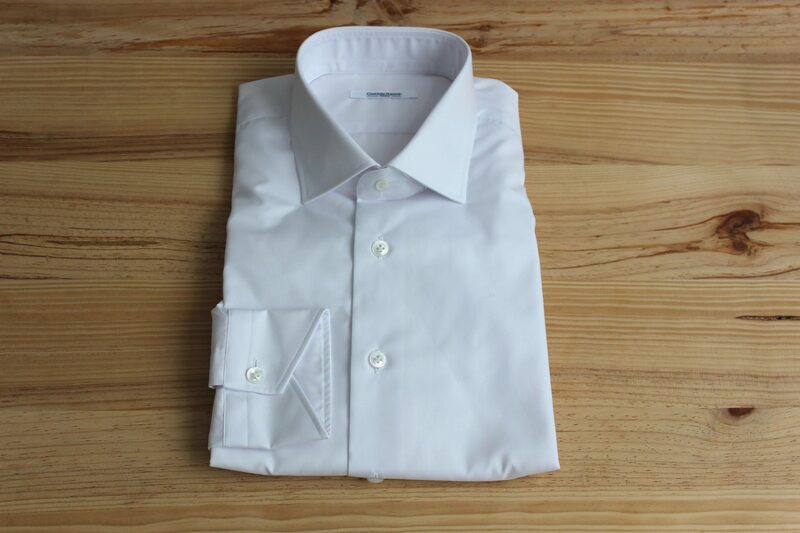 White plain shirt for men, ideal for a wedding, 100% Egyptian cotton, easy iron, Italian collar, boat wrists. Traditionally made. From 199 euros. 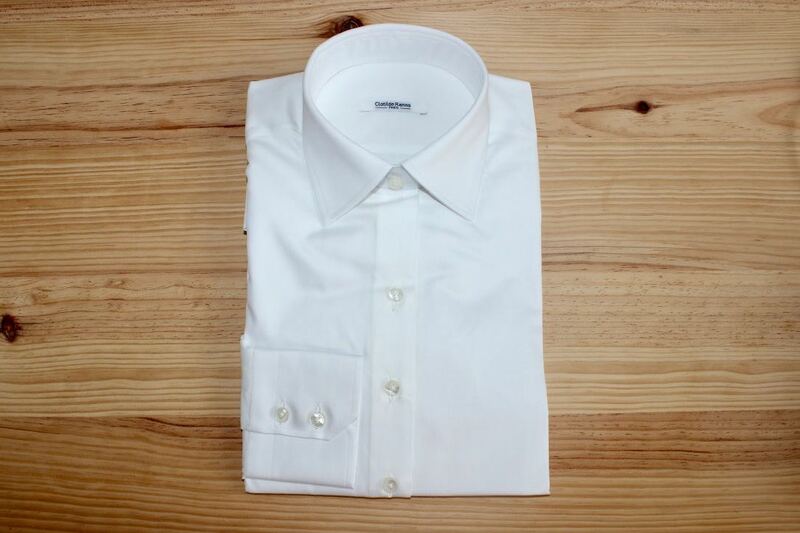 White shirt for men, 100% Egyptian cotton, double twisted yarns, Italian collar, musketeer wrists. Traditionally made (handmade pattern and cut). From 199 euros VAT included. 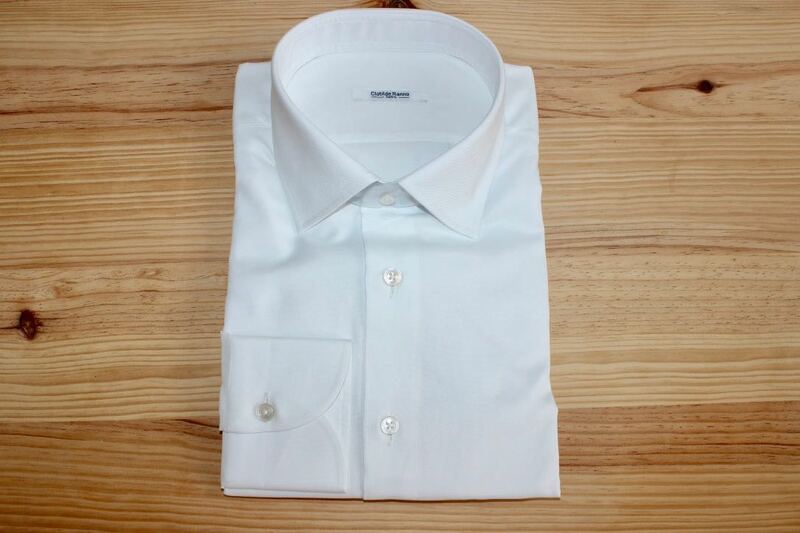 White shirt in Egyptian cotton double twisted yarns. Italian collar and classic wrists. White Mother of Pearl buttons. Traditionally made. From 199 euros VAT included. 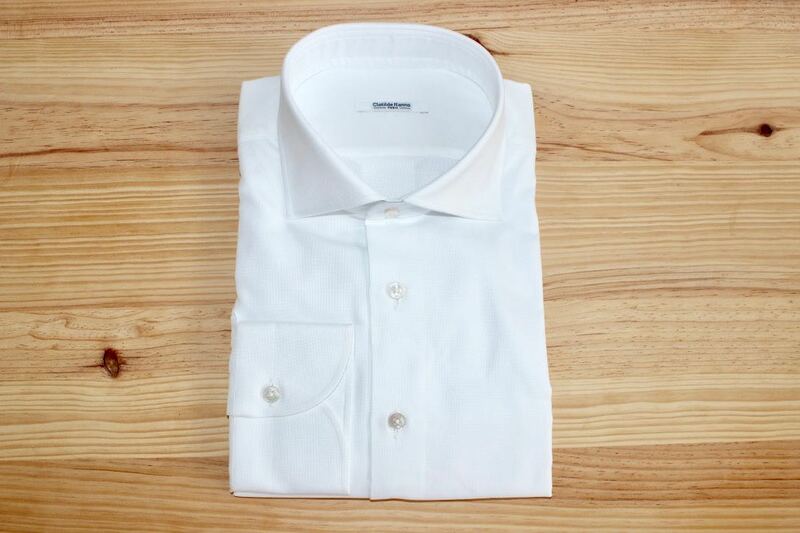 White shirt for men, 100% Egyptian cotton, double twisted yarns, classic collar, classic wrists with two buttons. Traditionally made (handmade pattern and cut). From 199 euros VAT included. 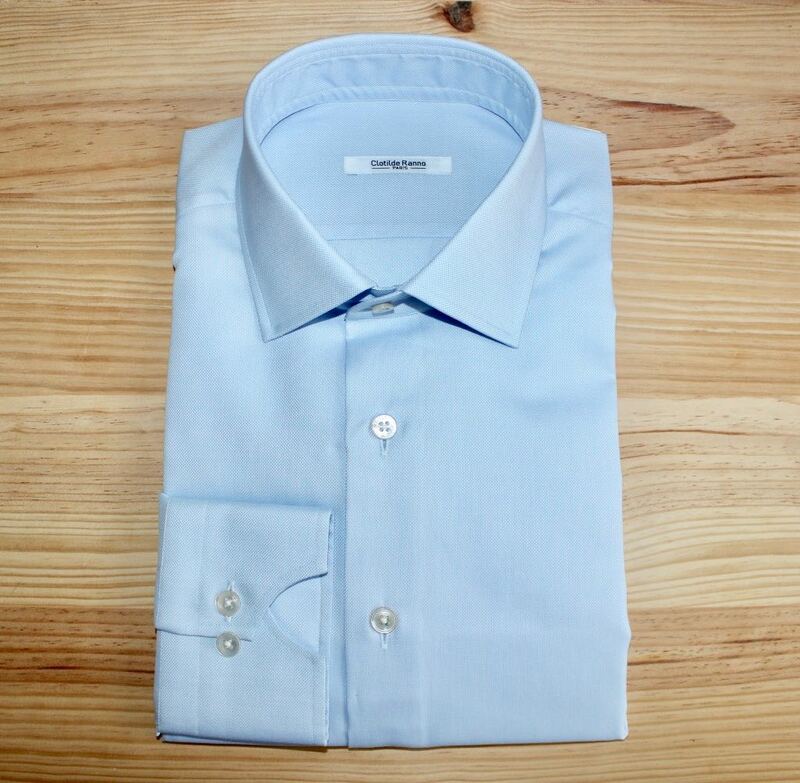 Blue shirt for men, Egyptian cotton, Italian collar, boat wrists, comfortable cut. Traditionally made. From 199 euros VAT included. 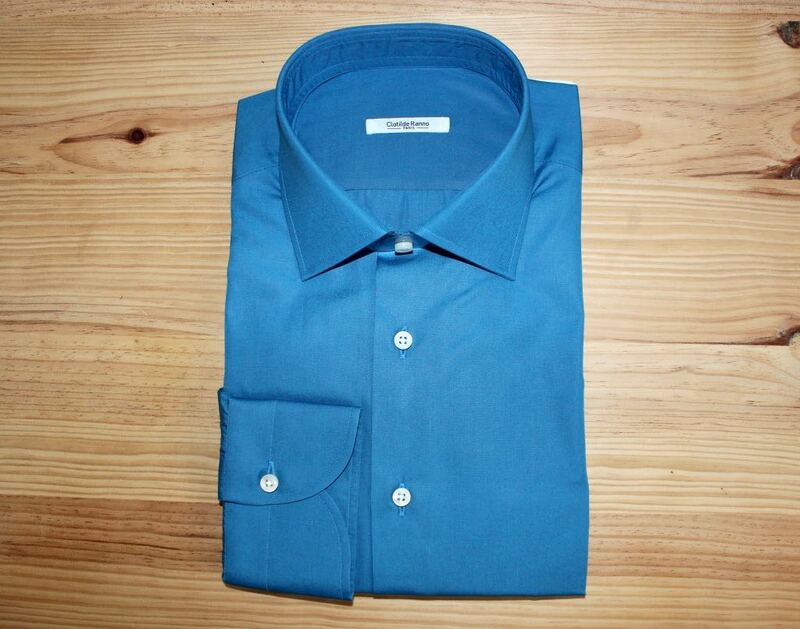 Blue plain shirt, Italian collar, musketeer wrists. 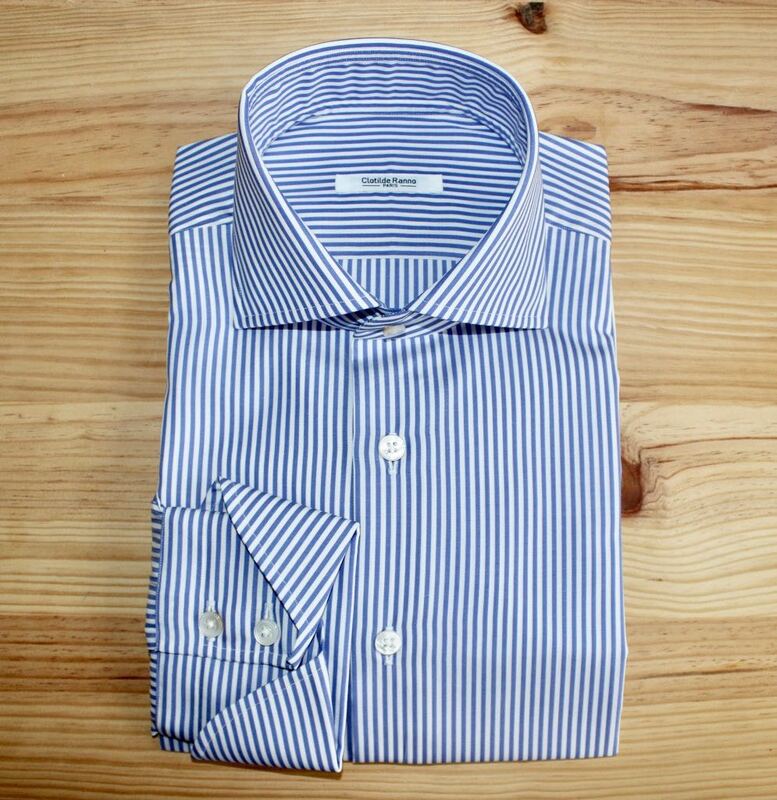 Traditionally made: handmade pattern and cut, extremely refined seams. From 199 euros VAT included.